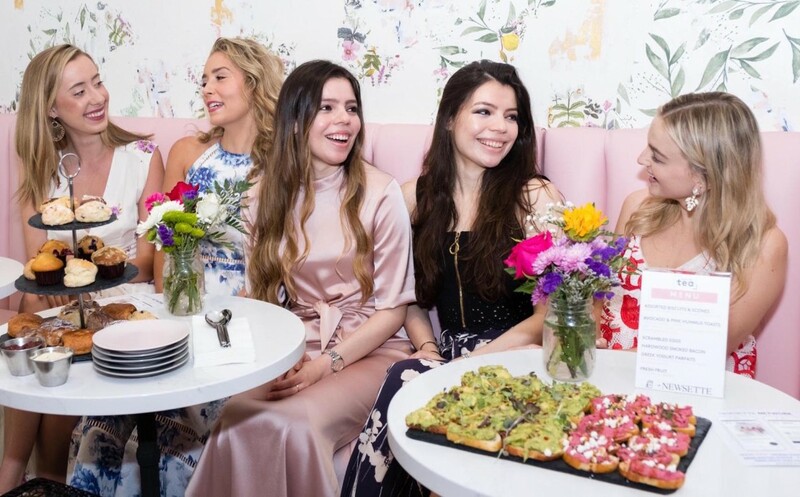 The Newsette has given you an exclusive peek at the morning routines of some seriously inspiring lady bosses like Arianna Huffington, Whitney Wolfe, Olivia Culpo, Kate Walsh and more. Which got us thinking… how does our 23-year-old founder & CEO, Daniella Pierson, start her day before getting in the office? Together with Ulta Beauty, we decided to find out. 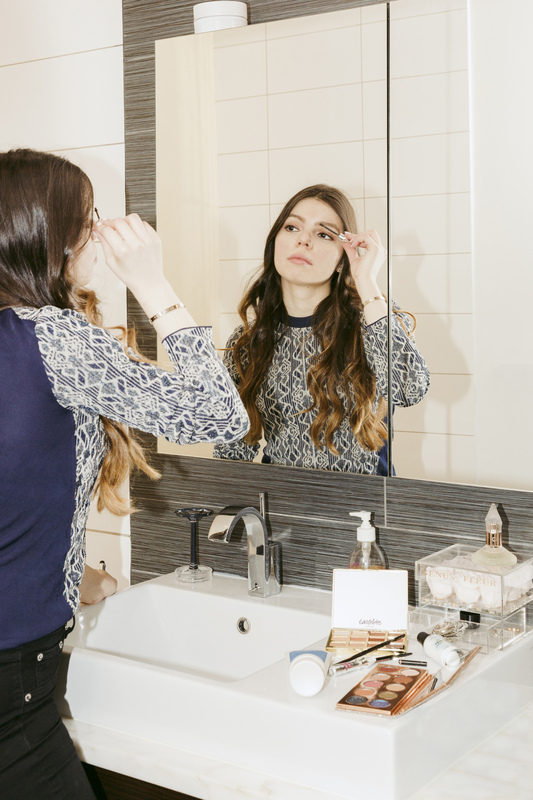 Read on for Daniella’s morning routine, which includes getting ready for the office, a few beauty staples, lattes, and, yes, working on the day’s Newsette content. 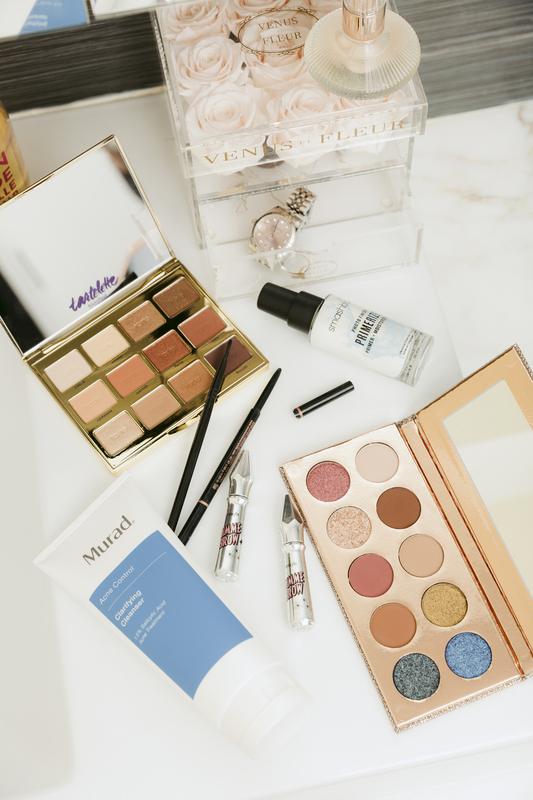 Plus, in the next few weeks, all of Daniella’s morning routine essentials will be 50% off as part of Ulta Beauty’s 21 Days of Beauty event, which we’ll call out at the bottom (make space in your medicine cabinet!). 7 A.M. I wake up to see my adorable teacup poodle, Leo, sleeping in a ball next to me. I wish I could say that he’s the ray of sunshine that instantly wakes me up, but contrary to what some people believe, I am not a morning person. When I was still in college–about two years ago now–I used to have to wake up at 5:45 A.M. to write the newsletter before classes, but now I get to sleep in a little more, thanks to help from my incredible team that curates a lot of the content published daily. After a few (dozen) yawns and stretches, I get up and head to my closet to choose something to wear. I like to be comfortable if I’m going to spend the entire day at the office, but if I have meetings I’ll dress up with heels and a nice sweater. 7:15 A.M. Once I choose my outfit for the day, I go into my bathroom and lay out my essentials. I like to keep my makeup light on weekdays, but definitely play it up on the weekends and experiment with different looks I see online (I’m half Colombian and my Latina family has taught me to love makeup). On a workday, I wash my face with Murad’s Clarifying Cleanser (which helps keep my complexion clear without over-drying), pat my face with a towel, and then tone and moisturize. Since my skin has been a little dry lately due to the weather, I apply Smashbox’s Photo Finish Primer which instantly hydrates and gets my skin ready for the rest of my makeup. 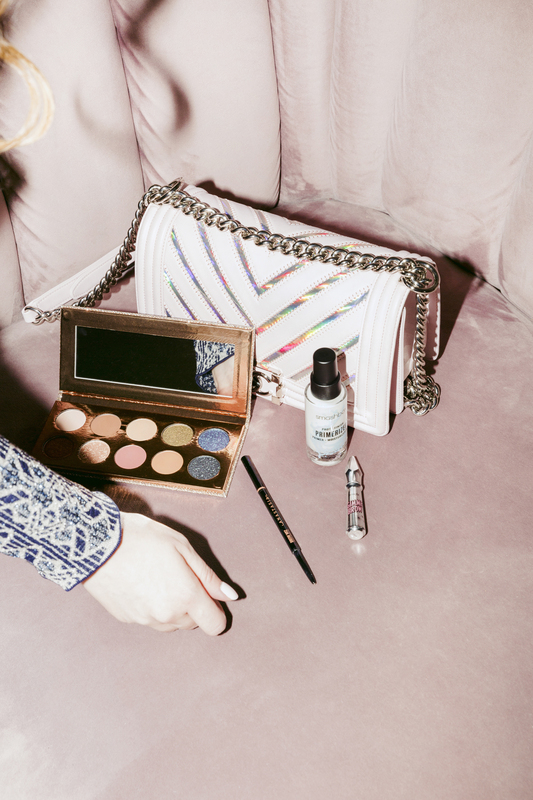 Next, I reach for BB cream and concealer for under the eyes (especially if I’ve had a late work night), and then I use for my Anastasia Beverly Hills Brow Wiz (one of my all-time favorite products!). It’s amazing how much just a few strokes of the pencil helps elevate my entire look (who knew eyebrows were that powerful?). 7:30 A.M. After I finish applying my base makeup, I move onto the eyes. I find that eyeshadow is an easy and quick way to make myself look more put together (and feel like my best self) so I love stocking up on palettes. Currently, my two favorites are Tarte’s Toasted Eyeshadow Palette and Dose of Colors’ Desi x Katy Eyeshadow Palette (which is actually 50% today only!). Every time I wear these colors I get people asking what I used. And, truthfully, just looking at all of the hues makes me happy (it’s the simple things). The final step in my makeup routine is defining and brushing up my brows with Benefit’s Gimme Brow Volumizing Eyebrow Gel. Yes, I use two brow products because I find that the Anastasia brow pencil defines them, and the Benefit gel keeps them in place. If I’m in a hurry sometimes I will just swipe a few coats of the gel on instead of using an eyebrow pencil, because it easily fills in and accentuates them without the need of makeup artist skills (which I very much do not possess). 8 A.M. After I’m dressed, I find Leo (who is most likely sleeping in his tent in the living room) and pack my bag for work. I usually bring lip balm, wipes (because germs are the worst), my airpods, and a few makeup staples that I may need to touch up my look before a meeting or event. That usually involves primer (which I find works really well to wake up my complexion at the end of a long workday before a dinner), an eyeshadow palette, eyeliner (always Stila’s Stay All Day! ), and eyebrow products. 8:15 A.M. I walk one block to my office (Leo and latte from Pret a Manger in hand), and get settled for the day. This includes answering any pressing emails (my inbox is like a jungle), checking in on any projects, and looking at my calendar. Then, I focus a few hours strictly on the day’s newsletter. Even though I now have a team to help curate and produce the daily email, I still have an extremely heavy hand in the process and write some segments, edit, and press send. 11 A.M. Once the newsletter and website are completed, I give myself 30 minutes to eat lunch and have a mental break after being glued to my chair for three hours. I created The Newsette to inspire and empower women on a daily basis, and I crave that same motivation throughout the day. Since I’m at my desk from 8:30 A.M. to 9 or 10 P.M. every day, I rely heavily on Postmates and Caviar to keep me alive. Every single morning I order the same breakfast from The Butcher’s Daughter: a spinach scramble with avocado, toast, and a drip coffee. I eat it (while sharing a few pieces with Leo, who will give me the stink eye if I don’t) while watching an inspiring female panel discussion or listening to a podcast. My current favorites are Second Life, No Limits with Rebecca Jarvis, and Superwomen with Rebecca Minkoff. 11:30. Back to work! My day-to-day consists of emails, meetings, phone calls, proposals, writing, etc. and I love every single second of it (even the annoying or hard parts are fun because of the broader female-empowering mission we’re delivering to our readers!). I have an amazing small team that helps us execute this mission, but it does get tiring and stressful at times. When I get especially exhausted, I like to play with Leo (literally his face makes my day better), watch TV because it helps me clear my mind, or talk to family. I also stash Mario Badescu’s Drying Lotion in my desk, because stress blemishes are not a myth. Finally, I make a note to try to do at least one thing a day that takes me out of my comfort zone, whether that’s speaking at a panel, emailing someone who inspires me, or taking a new workout class. I find that the best things happen when you feel uncomfortable, because it means you’re actively trying to better yourself and take risks. And that’s the goal of life, if you ask me.